During the Cultural Revolution of the 1960s and ’70s, China’s legal system was completely dismantled. There were no law firms, no lawyers, and no prosecution system. Since then, China has invested heavily in efforts to reconstruct the legal profession by supporting law schools, professionalizing the bar, and very recently, in overhauling criminal laws. In January 2013, sweeping amendments to China’s Criminal Procedure Law went into effect, the first such changes since the 1990s. The amendments provide several mechanisms to enhance the right to a fair trial, such as earlier access to counsel, exclusion of illegal evidence, and greater witness examination powers for defenders. But, as in many countries, funding for law enforcement training is often easier to come by than funding for criminal defense. The result? Committed defense professionals struggle to obtain the training they need to understand the new laws and keep up with their prosecutor peers. Opportunities to improve basic skills, learn new techniques, and stay informed of changing laws can be scarce. IBJ believes trained defense professionals are necessary for a healthy legal system, one that protects the right to a fair trial for each accused individual. Changes in the law will mean little if nobody knows what they are or how they work. As such, practical skills training is our top priority. 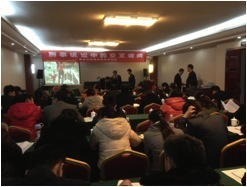 Since establishing operations in China in 2001, IBJ has trained over 16,906 legal professionals, and has promoted legal aid activities in all 32 of China’s mainland provinces. 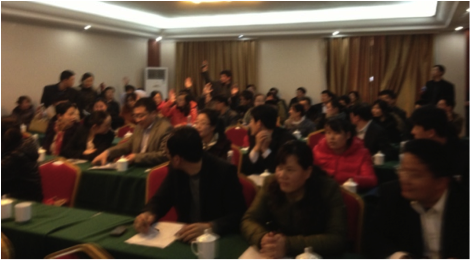 This was music to the ears of IBJ’s trainers, who are themselves experienced Chinese defense attorneys and participants in IBJ’s Defender Empowerment Series (DES) program. As part of efforts to extend the reach of trainings, IBJ trains DES lawyers to provide legal training to their peers through effective, interactive techniques. Presenting to fellow defense attorneys can be an unnerving experience for some, as the ability to detect the flaws in another’s logic is a fundamental skill in the profession. But the obvious preparation efforts, thoughtful topic selection, and innovative presentation style was enough to win over any audience. 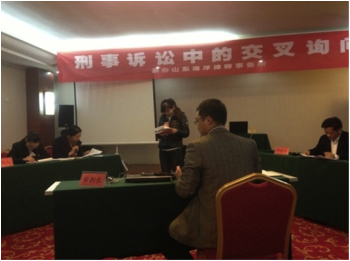 These Chinese defense lawyers are far from complacent. They are introspective, passionate, and eager to improve. Although there are still too few opportunities, each training is a small step in the right direction. And the dedicated attorneys who walk that path know IBJ is right behind them.